Virtual Phone Numbers provides its customers with virtual phone numbers (DID numbers) to help them meet all of their telephone communication needs. We offer an extensive international selection of local numbers and flexible call forwarding options in most countries of the world. This is a reliable way for businesses and individuals to receive international calls without the caller being charged high international rates. 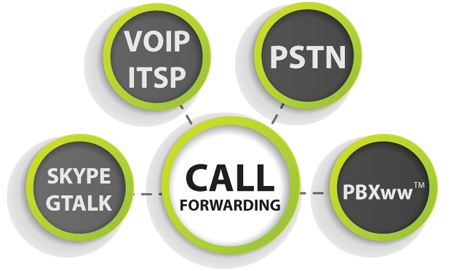 Our call forwarding service is great for individuals as well. Virtual Phone Numbers service is ideal for people who wish to keep in contact with family and friends worldwide. Their contacts can get in touch with them by simply dialing a Virtual number and our customers can have these local calls forwarded to them.